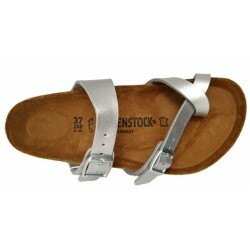 Dress sandals for ladies in suede leather and leather sole. Genuine suede leather dress sandals, lined with leather. 7 cm high heel, wide shape. The heel is wrapped in suede leather. Leather sole and strap at ankle. Available in beige or bordeaux color.